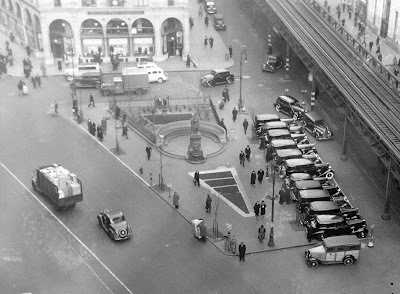 Sometimes it seems as if New York’s monuments and statues move about the city's boroughs as much as its citizens do. Often, they will be relocated from one public space to another, because of construction, the whims of city officials, or convenience. 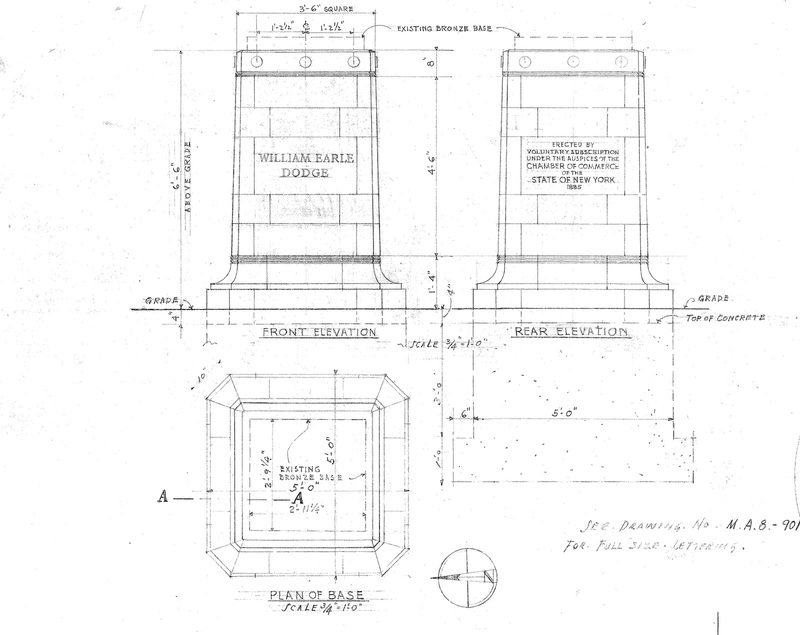 The stories of monument preservation, placement, and movement from one park or square to another provide insight to the nature of the public places where they stand. 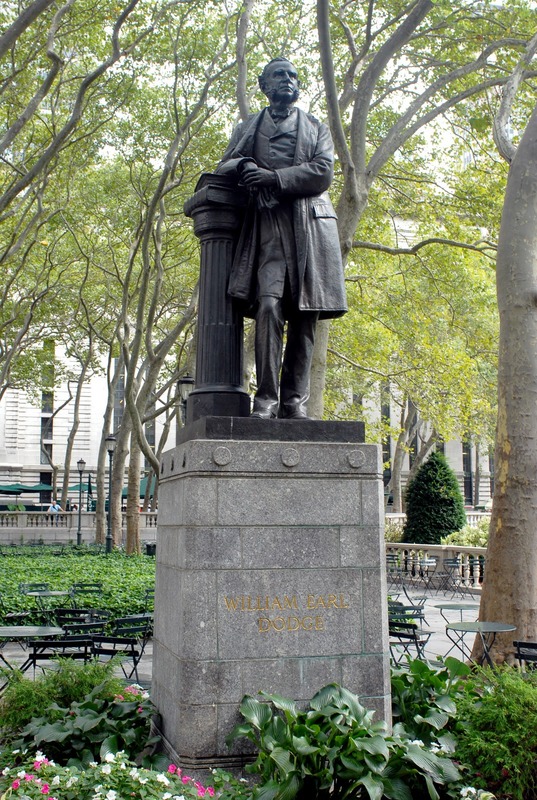 One in particular, William Earle Dodge, who currently resides midway through Bryant Park's 42nd Street Allée, was first dedicated in Herald Square Park, located within one of our sister business improvement districts, the 34th Street Partnership. William E. Dodge was best known as a founder of the successful copper and metals company Phelps Dodge & Co. He also helped start the Young Men’s Christian Association (YMCA), and staunchly supported the Prohibition Movement. He served as President of the National Temperance Society from 1865 to 1883, and was instrumental in the publication of over 2,000 supporting books, pamphlets, and posters. 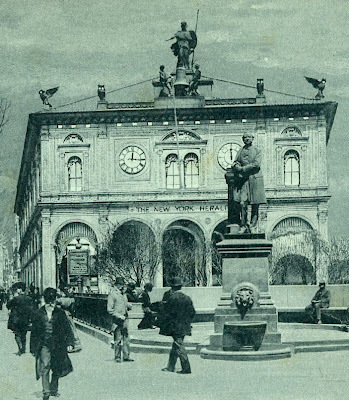 When he died, friends formed a commemorative committee to erect a statue in his honor. 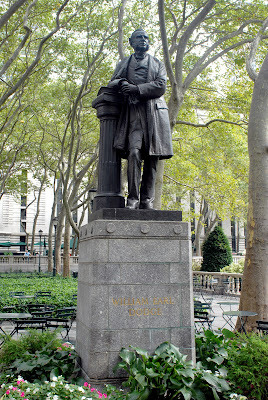 This statue was sculpted by John Quincy Ward, and placed on a base designed by Richard Morris Hunt. 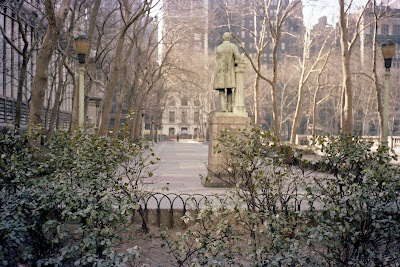 Among Hunt’s many accomplishments, which include founding the American Institute of Architects (AIA), he also designed the base for the Statue of Liberty, as well as the façade and Great Hall of the Metropolitan Museum of Art. 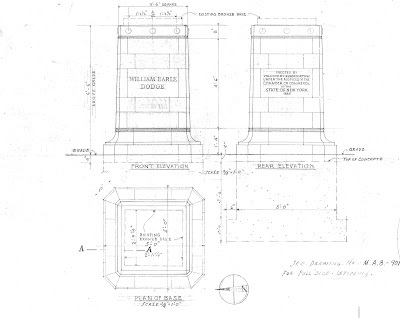 Hunt’s base for the Dodge monument featured a water fountain and small lion’s head, a nod to Dodge’s commitment to temperance. Literature buffs too, will recognize the inherent symbolism in the lion’s head - commonly used to suggest stateliness, leadership, and reverence. 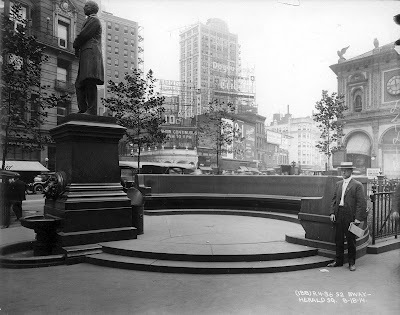 Dedicated on October 22, 1885, the statue presided there, in the company of the Herald Building, until Herald Square was refurbished in 1940. One year later, in 1941, Dodge was moved to the northeast corner of Bryant Park, and placed on a granite pedestal. The original Hunt pedestal was removed from Herald Square; its current whereabouts are unknown. 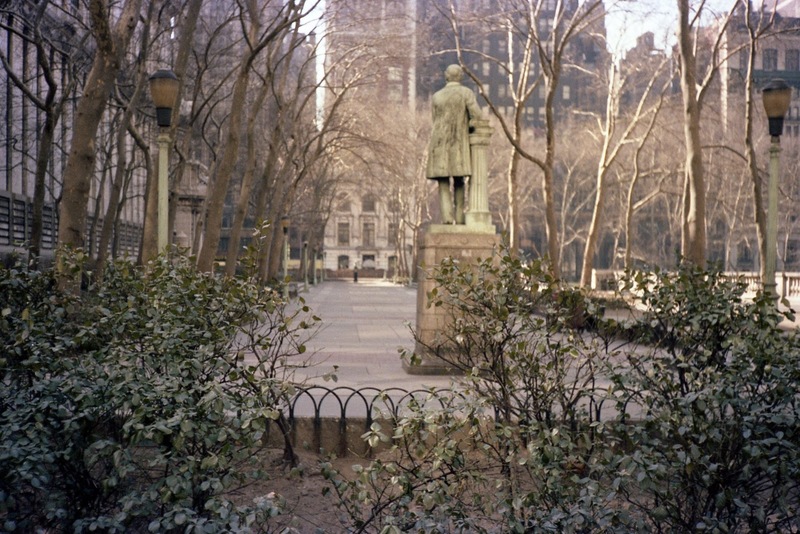 Dodge remained in the northeast corner of the park, in close proximity to another publisher and philanthropist, William Cullen Bryant, until the 1992 renovation of the park. 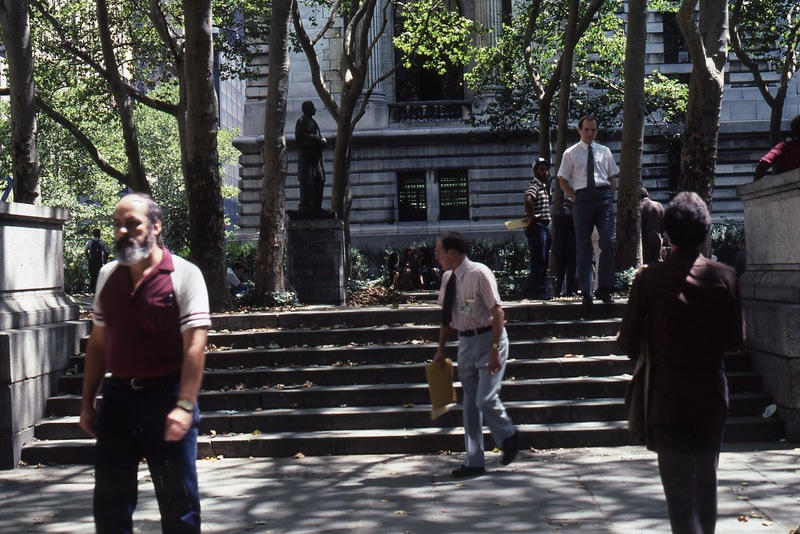 At that point, Dodge underwent a $23,000 renovation, and was moved again in the park to his present location, along the 42nd Street allée, where the Bryant Park Reading Room is located during the warmer months, and currently, The Holiday Shops.